When it comes to lighting a hotel guest bedroom, at the very least you need to meet the guest’s expectations. Easier said than done. Whilst listening to the comedian Michael McIntyre, whose observational style is hilarious, I felt he summed things up beautifully. His tale recounted a recent visit to an unnamed European hotel, where he had to walk to the bedroom door to turn off the lights and when he lay his weary head on the bed, the whole room lit up again. He repeated the process a few times and eventually called reception for help. Unbeknownst to him, there was a light switch placed behind the pillow in the room. This story went on and finally ended with the maintenance man in the room in darkness with him begging to get out of the room. A side-splitting account and a short stay in a hotel that proved pure gold for a comedic genius. However, after wiping the tears from my eyes, I wondered how funny this would be for a nervous soul, having a night away from home. Certainly not the night to watch a scary movie. So, what do hotel guests expect? Well, surprisingly, they are not too demanding when it comes to lighting. They simply want the lights to work, be able to flick a switch and the light comes on or goes off. When it comes to bedtime, they don’t want to get out of bed to switch lights off. It’s not asking for too much, but often lighting is neglected. I’ve stayed in a hotel where my husband’s phone was used to supplement the lighting, most of the light bulbs in the room didn’t work. In another, the lampshades on the bedside lamps were so big I had to take the shades off the lamps for fear of knocking them over in the night. Most of the time, there are just too few lights for the size of the room. 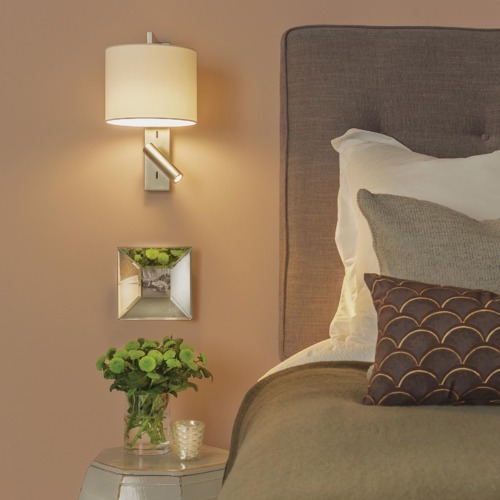 If you are lighting a budget hotel simply having a little more of luxurious feel is sure to delight guests, look for new suppliers from time to time, you’ll be surprised sometimes just how far the budget can go. 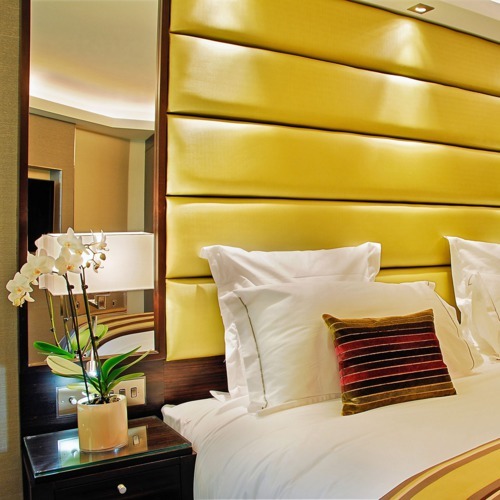 More luxurious hotels do need to do more – definitely seek out style and go for unexpected finishes such as bronze. Remember, high quality and originality are expected. That’s the basics if you wish to delight guests without getting too technical. Think of older guests, many of whom might not be tech savvy. Even so, most guests are familiar with their own bits of technology but will struggle to get to grips quickly with something unfamiliar. 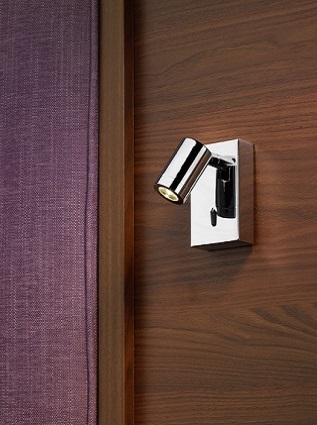 Think about what guests need; they may need to charge phones or tablets – little touches like a socket with a USB port is great or a desk lamp with a USB is a super little discovery. 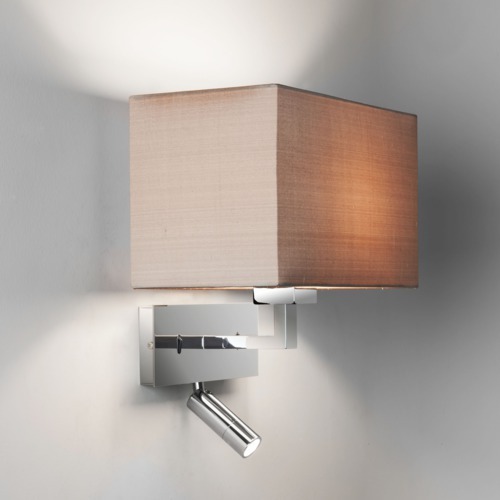 Avoid thinking guests want ultra high-tech, in the first instance they simply want the lights to be working and switches that are easy to find. All the little touches guests have come to expect – a hairdryer, an iron, coffee-maker, a decent bar, a good restaurant, competent and professional staff, even a gym that they may never visit – the list goes on. Lighting is the easy part, there’s really no need to make it complicated. 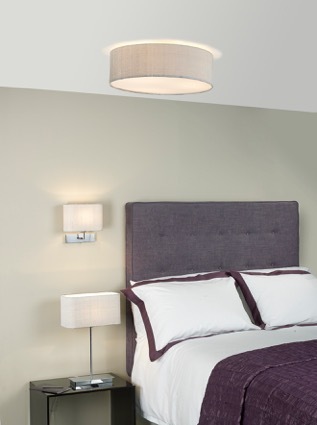 Established in 1988, The Lighting Company are lighting retailers supplying contract hospitality and residential clients throughout the UK and have thousands of lights for all sorts of situations, and experts within the specialist lighting sector when lighting needs to be high quality and affordable. 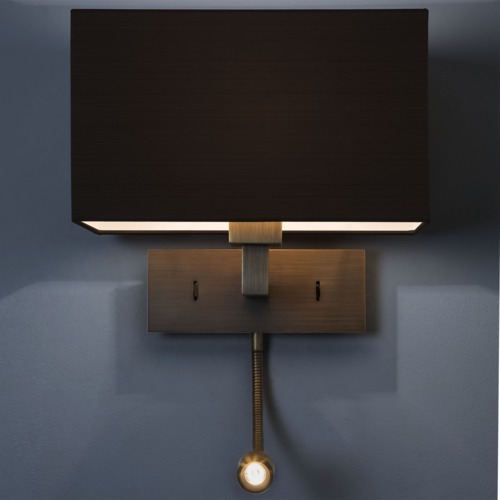 For unique and one-off requests, they can have lights made to clients’ exact specifications through their Bespoke Lights division.